The Breakfast Club and The Air Canada Foundation took three Indigenous kids from B.C. on a magical trip to Montreal to meet goalie Carey Price. A once-in-a-lifetime trip to meet a hockey legend. 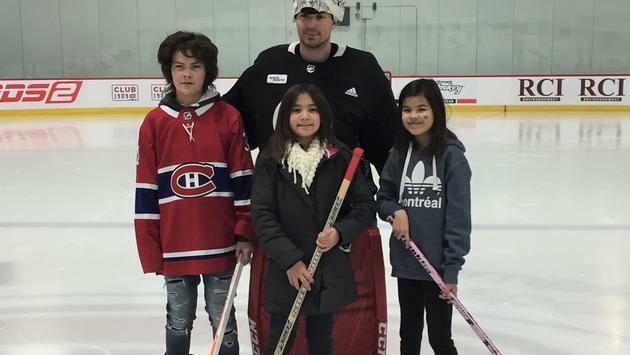 To inspire children and youth to dream big, Breakfast Club of Canada and the Air Canada Foundation joined forces to welcome three Indigenous youth from British Columbia on an exceptional trip to meet Club Ambassador, Carey Price. The fifth edition of the Shooting for the Stars event saw Arianna, Lashawn and Sireasha - from Westbank, Anahim Lake and Williams Lake respectively - board Air Canada flights to explore a new area of their country: Montreal. All three kids got to skate with Price while creating priceless memories. They also met with the Mayor of Montreal, Valérie Plante, at City Hall and signed the City's Guestbook. 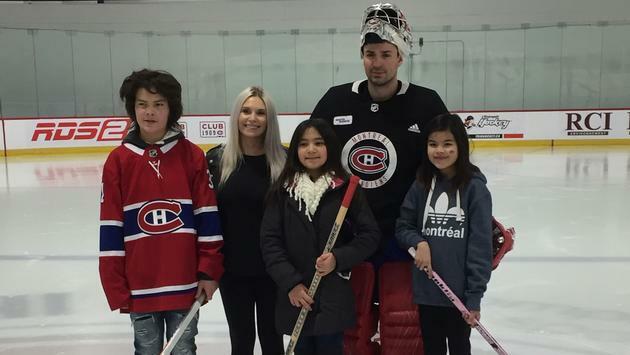 "For these children, we know that a single spark can change their lives, or even the realities of their entire community,” said Angela and Carey Price, Breakfast Club of Canada ambassadors. “For this reason, nurturing these children's dreams is especially important to us, and we are very touched and grateful to be able to play an inspiring role in their lives through the Shooting for the Stars event, orchestrated by the Air Canada Foundation and Breakfast Club of Canada." "It's really amazing for me to see all the people who have worked so hard to give my granddaughter the chance to take this trip. She is incredibly lucky to have been selected and we are so touched by the generosity of Breakfast Club of Canada and the Air Canada Foundation,” said Brenda, grandmother of Sireasha, who accompanied her on the trip. 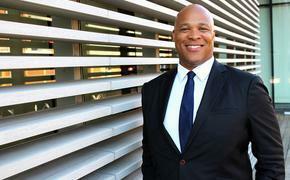 : The Breakfast Club and The Air Canada Foundation took three B.C. kids to meet Carey and Angela Price. The three youngsters also got to watch Price in net during a Montreal Canadiens game against the Winnipeg Jets on February 7, all the while comfortably seated in the Air Canada lounge. "The Air Canada Foundation is proud to partner with Breakfast Club of Canada and be an integral part of an initiative like Shooting for the Stars, an event that allows young people from Indigenous communities to open their horizons while enjoying an exceptional experience,” said Priscille LeBlanc, Chair of the Air Canada Foundation. “Beyond an unforgettable travel adventure, we are proud to transport them to their full potential. " "Breakfast Club of Canada is dedicated to helping children from Indigenous communities and allowing them to dream just as big as any other child. What might seem like just a trip is in fact the opportunity to partake in an out-of-the-ordinary experience, but also to create everlasting memories, and that's why Shooting for the Stars is so important,” said Daniel Germain, President Founder of Breakfast Club of Canada. The Air Canada Foundation, a registered charitable organization focussed on the health and well-being of children and youth, was launched in 2012. It offers both financial and in-kind support to Canadian registered charities. Core programs include the Hospital Transportation Program which donates Aeroplan Miles to pediatric hospitals across Canada enabling children to access medical care unavailable locally and the Volunteer Involvement Program which recognizes the involvement of employees in their local community by providing airline tickets to the registered charities in support of their fundraising initiatives. The Foundation, in collaboration with the airline, also engages directly in fundraising activities such as the Every Bit Counts program, which encourages customers to donate loose change of all denominations onboard flights or through airport collection containers, as well as through various fundraising events. The Foundation also offers continued support to major health-related causes that benefit Canadians and is an active participant in international humanitarian relief activity as the need arises. For more information about the Air Canada Foundation and its impact, please visit www.aircanada.com/foundation or www.aircanada.com/citizensoftheworld2017.